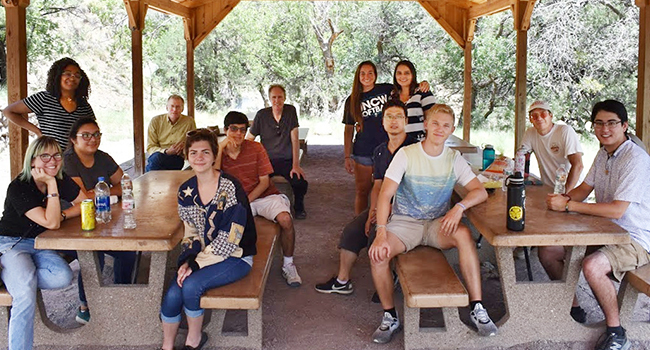 The Physics and Astronomy REU held at the University of New Mexico is a 10-week summer research internship program for undergraduate students studying physics and astronomy, including radio astronomy and laser applications. The program pays for the majority of student expenses - travel (up to $600), on-campus housing, a $5,000 stipend, the cost of most activities -- and focuses on the development of strong student-mentor relationships as well as laboratory and research skills. The program offers a range of recreational activities and opportunities to experience New Mexico. The UNM P&A REU Program has been awarded National Science Foundation (NSF) grant funding. Eligible students (must be a US citizen or permanent resident, currently enrolled in a college or university and attending in the Fall Semester following REU participation) are welcome to apply. You can contact Rich Rand at rjr@unm.edu or (505) 277-2073 if you have further questions.